History often has its way of channelling private enterprises smoothly towards large-scale endeavours. While we at International House Bucharest are celebrating our 15th anniversary this year, our country is enjoying its 10th year as a full member of the European Union. Moreover, as Romania is getting ready for its 100th anniversary as a nation next year, we too will be hailing in 2018 a decade of full membership in the European Association for Quality Language Services (EAQUALS). So, looking back, we realise how much of our route has followed our country’s course. When we started out, in 2002, His Excellency Jonathan Scheele, Head of the European Commission Delegation in Romania (2001-2006), joined our Romanian language course, while Mrs Sarah Scheele trained our first batch of professional English language trainers. Subsequently, we have been honoured to gently pave the way for further prominent students, such as Their Excellencies the Ambassadors of Sweden, the United Kingdom or the Netherlands, towards our language, our culture and our hearts, so that solid bridges of genuine friendship, shared goals and empowering joint projects can be built. The British Ball, for instance, a charitable event we have organised since 2012, enables our youth to confidently get in touch with the Royal House of Britain and receive Her Majesty’s special message, year by year. Over the last few ambitious years when Romania has been striving to catch up with its more developed EU partners, we have trained over 15,000 professionals in 350 companies around the country. To our students, acquiring good English has meant giving effective presentations, putting forth bold initiatives, shaping cross-cultural differences into mutually respectful partnerships, and making new business contracts happen. We have helped turn our business English students into professional members of multinational teams, enhancing their ability to perform in international environments as competently as in their home arena. And just as business in Romania has grown all these years, we have grown with it, topping the National Ranking of Private Businesses, operated by the Romanian National Council of Small and Medium-sized Enterprises, for years. How does it feel for a company and its stakeholders to contribute their small-scale history to the large-scale one? Undoubtedly, fantastic. 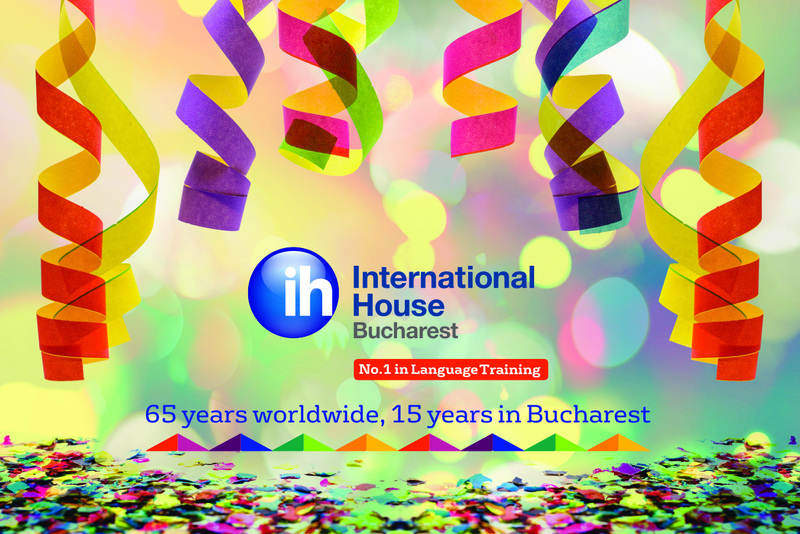 It has been 15 years of IH Bucharest accompanying Romania along its way to reaching European-level development, performance, cross-cultural competence and vision. 15 years uphill, fuelled by the priceless feeling of a job well done, by the patience, insight and dedication of dozens of trainers and teachers. To them all and to all of our students, happy anniversary on the further-reaching route of history!